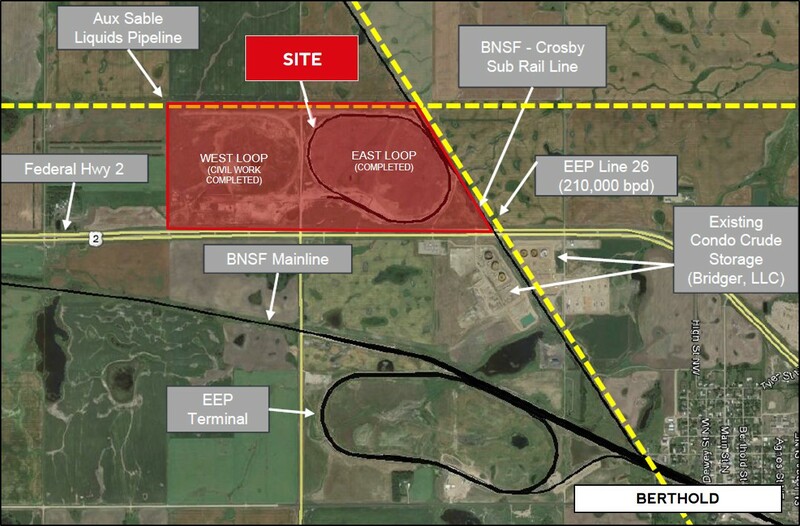 This 342 acre industrial rail park is located in Berthold, ND in Ward County. 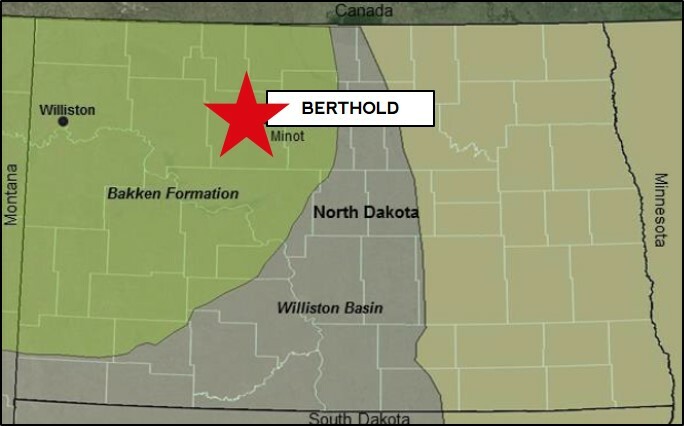 It is approximately 20 miles west of Minot, 100 miles east of Williston and in close proximity to Mountrail County, one of the highest oil producing counties in the Bakken. This site is uniquely positioned to service both the energy and agriculture industries. Direct proximity to Highway 2 provides immediate accessibility to all main trucking routes throughout North Dakota and beyond. Connected to the BNSF Crosby Sub rail line, outbound rail from the Terminal is capable of reaching all regions across the U.S. and provides direct access to Havre, MT, a Canadian border crossing site. The site is zoned M2 heavy industrial and features high capacity rail-to-storage and storage-to-truck sand transloading equipment. The East loop includes 11,400 feet of installed track, is unit train expansion capable and includes 1,400 feet of new 115 lb. track, as well as new joint bars, comp bars, anchors, ties, and crossings. Zoning and permits for West loop expansion have been secured.